Have you been waiting for Windows 10 Fall Creators Update release? Several reports had confirmed earlier this month that the Insider Preview Build 16299 appears to be the Release to Manufacturing (RTM) build. 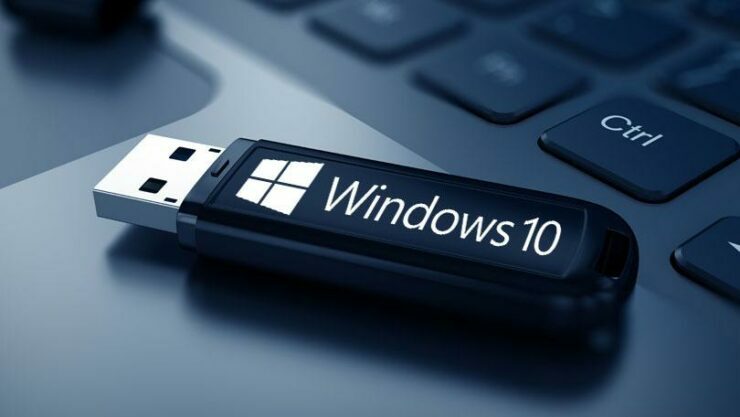 However, unlike the Creators Update when Microsoft had released the ISO files earlier than the release date, there was no way to adopt the new edition of Windows 10 before its official release date except for those who opted to join the Insider program. With October 17 finally here, you can now download Windows 10 Fall Creators Update ISO files (version 1709) for your PCs. Not a fan of Update Assistant? Well, you are in luck. The Redmond tech giant has also released Windows 10 Fall Creators Update ISO files, which are now available for download. Follow these steps to easily download Windows 10 Fall Creators Update ISO (HOME & PRO) for your devices. Please head over to the official download site [click this link]. You will now see two tabs to download either the 32-bit or the 64-bit Windows 10 Fall Creators Update. Simply click on the right one and the download will begin. Windows 10 Fall Creators Update – aka Version 1709 – is a massive upgrade bringing the wonderful world of Mixed Reality at your fingertips. The releases also promises a number of refinements and improvements. Bringing OneDrive Files On-Demand to help you save storage space on your device, My People to connect with your favorite people, and visual changes with its new Fluent Design System, the company has added a number of small updates here and there to keep it fun and useful, all at the same time. Microsoft has been sending a number of Preview builds to its Windows Insider Program since April to test and finalize the latest OS version, the Windows 10 Fall Creators Update. While the update will eventually arrive on your machine, the rollout process is painfully slow as the company has adopted a more steadier, conservative deployment strategy since the release of original Creators Update earlier this year. If you don’t want to get stuck in this phased rollout that might take you over six months to get the newest edition of Windows 10, you can now use the Update Assistant or download the ISO files to install Windows 10 Fall Creators Update, right away. Are you going to download Windows 10 Fall Creators Update and install it manually or would you wait for the company to make it more stable? Don’t forget to share your thoughts on Windows 10 Fall Creators Update with us.